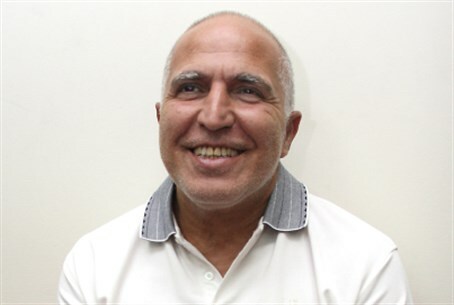 Charlie Abutbul found shot in head while on house arrest before 16-month jail term, reportedly was depressed over son's life-sentence. Crime boss Charlie Abutbul was found dead, shot in the head, in his Netanya home on Thursday. He was in house arrest pending a 16-month jail term, after being convicted of abduction. Magen David Adom (MDA) paramedics who were called to the scene evacuated Abutbul to Laniado Hospital in Netanya, where doctors were forced to pronounce him dead. Police are currently investigating whether Abutbul's death is a suicide, an accident caused by a gun going off, or an assassination by rival crime gangs. Abutbul has survived several attempts on his life in the past. Abutbul's uncle Felix, who once headed his crime family, as well as his nephew, were both killed in gang-war violence. Two of Abutbul's sons are also currently serving jail time, reports AFP. Sources close to Abutbul, including family members, have opined that the crime boss committed suicide after being depressed over the life-imprisonment term of his son Francois, who has been in jail since 2008. Francois was given the life sentence after being found guilty of murder, in a killing that happened adjacent to a club in Kibbutz Shefayim, located between Netanya and Tel Aviv. Abutbul's friends say his entire disposition changed dramatically following the imprisonment of his son over the murder charges. Police have set up a special task force, Unit 443, to deal with organized crime gangs. In February, Prime Minister Binyamin Netanyahu declared war on organized crime after a wave of mob violence, saying that police should use both existing and "new means" against gangsters. Police Commissioner Yohanan Danino last November responded to the bombing of a car belonging to the state prosecutor handling the case against several organized crime families, saying crime organizations will be related to as terror organizations.